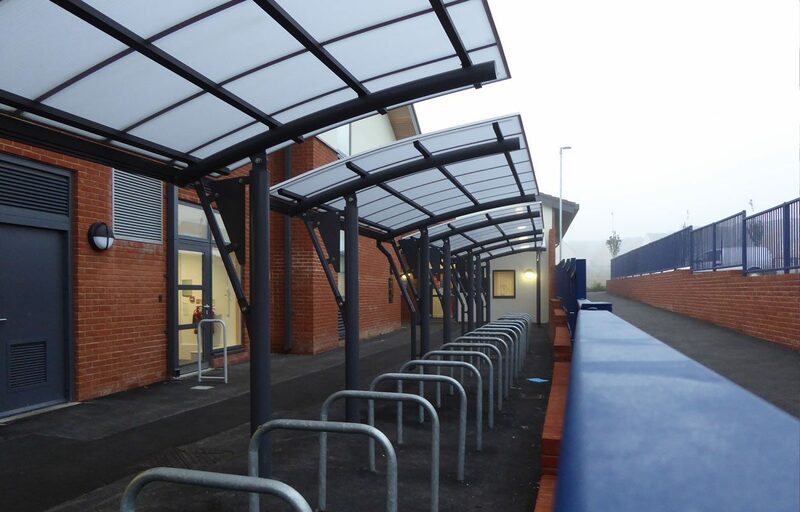 Contemporary cycle shelter for primary school. 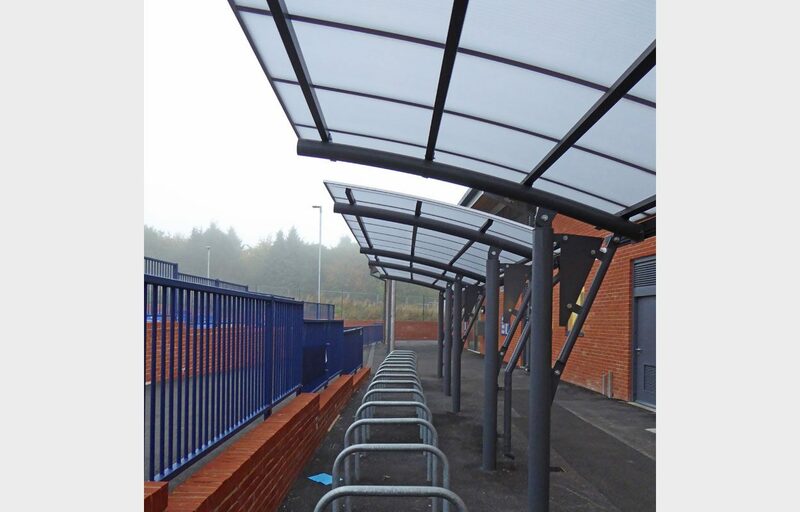 As part of a series of canopies, Fordingbridge installed four cantilever style canopies for bicycle cover at Wellington Primary School. The contemporary and minimalistic design maximises space underneath while ensuring the safe storage of bikes. The PPC mild steel frame is clad in a triple walled polycarbonate solution, perfect for the longevity of the structure.